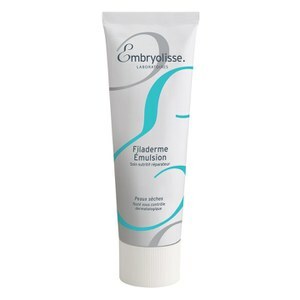 Treat your skin to Embryolisse Filaderme Emulsion, a nourishing, reparative treatment that works to moisturise dry skin whilst replenishing levels of natural, essential nutrients. Fortified with a range of natural active ingredients, including shea butter to soften and aloe vera to soothe, the advanced formula reconstructs the 'intercellular cement', reinforcing the skin's barrier and diminishing uncomfortable, tight and flaky skin. Deeply conditioning, the cream will leave your skin feeling supple and looking radiant. - K.N. Tested under dermatological supervision. Formulated to minimise the likelihood of allergic reaction. Apply to clean, dry skin of the face and neck in the morning and/or evening. Spread by using gentle massage without exerting pressure, and leave to penetrate.